The process of giving birth is emotionally loaded and physically taxing. But for some marginalized women and/or new mothers, what should be a beautiful experience is marred by callous, careless or even abusive medical staff. Instead of feeling empowered by the fact that they have birthed a human, they leave with the visible and invisible scars that are evidence of obstetrical violence. Kate Macdonald is the founder of the Reproductive Justice Story Project. The project offers a list of resources to get support if you’ve been through birth-related trauma, as well as a community forum for those who want to share their stories. These accounts are deeply troubling – they serve as a sobering wake-up call to others who may not think this type of thing happens in Canada. SDTC: What made you want to start the Reproductive Justice Story Project? KM: I started The Reproductive Justice Story Project after my own traumatic hospital birth at St. Joseph’s Health Centre in Toronto last February. The way I was treated completely broke me and reactivated some complicated memories of past abuse and intimate partner violence. I filed a complaint with patient relations and met with various hospital officials as a result. In my first meeting, the chief of obstetrics actually sat across the table from me and explained all the things that I should’ve done differently to avoid a traumatic birth. I also found out that St. Joe’s didn’t have a steady mechanism in place for collecting patient feedback at the time, so with some help, I built an independent patient feedback survey to find out what others in the community had experienced and gather suggestions for improvements. Over 400 people took the St. Joe’s survey and we’re currently working on the final report. The next step is an Ontario-wide birth trauma survey that is in the works. In addition to the surveys, there is a Community Story Blog made up of submissions from people across the province. What would you like to see happen in hospitals to make the process of giving birth better for parents and for babies? Lots of people do report having good experiences when they give birth in hospitals, but for those who don’t, there seem to be a lot of common themes in what didn’t feel supportive at their hospitals. We’d like to see some retraining and reframing happen in the obstetrics community so hospital staff can start to recognize the importance of involving pregnant and birthing people in conversations about their own care. It’s a human rights issue, really; we don’t sign away our right to dignity, respect and bodily autonomy just because we’re giving birth, but too often, that’s exactly the way that patients are treated. Invasive procedures are performed without consent, sometimes just so medical students can get practice. Patients are sometimes pressured, rushed or coerced to agree to interventions that may or may not be necessary, and sometimes nobody asks at all. Informed choice isn’t always part of the equation and that’s not okay. Giving birth in a space where your needs are secondary to your care providers’ can feel incredibly disempowering and dehumanizing even for people without other factors working against them. For people from marginalized communities, accessing safe, respectful and inclusive reproductive healthcare can be even more challenging but so, so important! We’d like to see patient-centred, trauma-informed, evidence-based care become the norm across the province regardless of race, age, income, orientation, gender identity, family structure, disability, language, body size or religion. In some of the stories that have come in so far, it’s clear that patients would benefit greatly from healthcare providers who’ve received some sensitivity training and learned the basics of patient-centred labour support as well. Telling a person in crisis to “shut up” or “just relax” is never the right thing to do. It sounds like common sense, but unfortunately it isn’t. 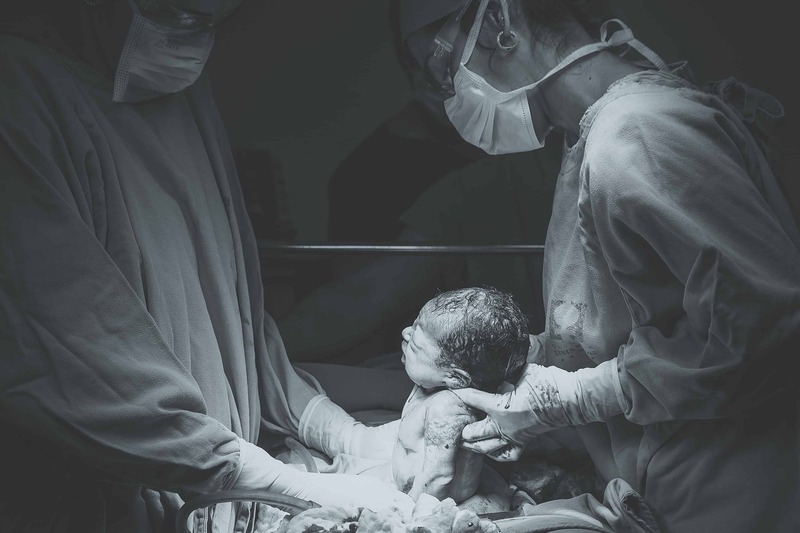 The good part is that there are many, many people having great hospital birth experiences all the time, which means it should be possible for everyone! Sometimes the medical community just needs a gentle push in the right direction; that’s what we hope we can provide with the project. Whose story from the project really stands out to you? Why? Every story is powerful in its own way. They are deeply personal, vulnerable accounts of pain that these people have been holding for months or even years. So many of them centre on terrible bedside manner – the experiences could’ve been completely different if they’d felt heard and respected and given the empathy they so desperately needed during a stressful and scary time. Another theme that comes up is not being listened to or believed. Nurses and doctors doubting a patient’s own reports of pain or what’s happening in their body, like they couldn’t possibly know themselves. Consent comes up often; some even equate what they were subjected to with sexual assault, because if it had happened anywhere outside the birth room, it absolutely would be! Why is it important for women to have a forum like this to share their experiences? In the early weeks after I gave birth, I remember trusted friends, family members, the chief of obstetrics at my hospital, and even some of my care providers saying absolutely crushing things to me that invalidated my very real trauma and made me feel like there was no safe space to speak about the scary PTSD symptoms I was living with. All of them meant well. They probably had no idea how much it hurt to hear that, “I didn’t have anything to be upset about” because my baby was healthy and I was physically okay. Some people who have gotten in touch or sent in stories say they have been living with these memories for years. For some, writing it all down and sharing the trauma can be a way of beginning to heal. One mom said it had taken her saying her story out loud a few times before she was able to hear how unacceptable it truly was. I hope that this project can do that for others as well. If you’ve experienced birth trauma, if you’ve experienced obstetric violence, you have to know that what happened to you was not okay and was not your fault. If healthcare providers read these stories, maybe they will see the impact their actions can have on patients and think about ways to build their skills for the future. Maybe this project can get a wider, louder conversation happening on both sides. I hope so.